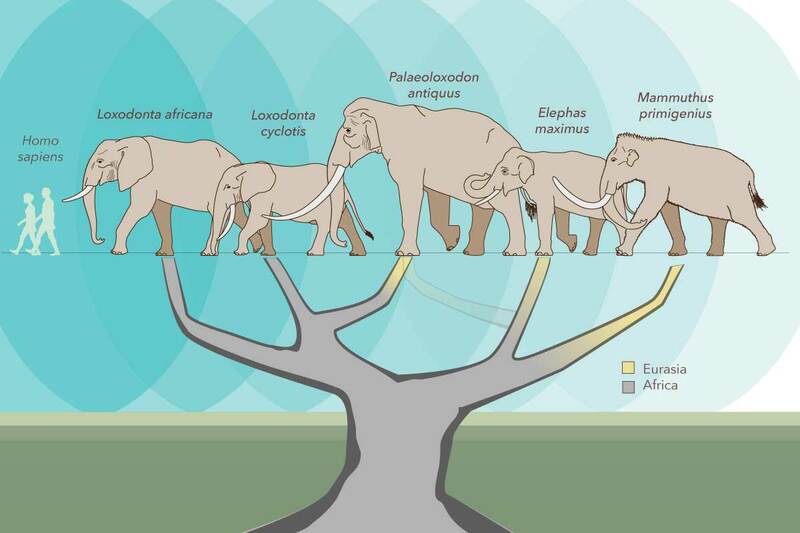 A new study reconfigures the elephant family tree, placing the giant extinct elephant Palaeoloxodon antiquus closer to the African forest elephant, Loxodonta cyclotis, than to the Asian elephant, Elephas maximus, which was once thought to be its closest living relative. CHAMPAIGN, Ill. — New research reveals that a species of giant elephant that lived 1.5 million to 100,000 years ago – ranging across Eurasia before it went extinct – is more closely related to today’s African forest elephant than the forest elephant is to its nearest living relative, the African savanna elephant. The study challenges a long-held assumption among paleontologists that the extinct giant, Palaeoloxodon antiquus, was most closely related to the Asian elephant. The findings, reported in the journal eLife, also add to the evidence that today’s African elephants belong to two distinct species, not one, as was once assumed. P. antiquus males stood up to four meters tall and weighed as much as 13 tons, more than twice the weight of today's largest elephants. Understanding their genetic heritage is key to keeping today’s elephants from going extinct, said University of Illinois animal sciences professor Alfred Roca, a co-author of the new study. Roca led research in the early 2000s that provided the first genetic evidence that African elephants belonged to two distinct species. Subsequent studies have confirmed this, as does the new research. 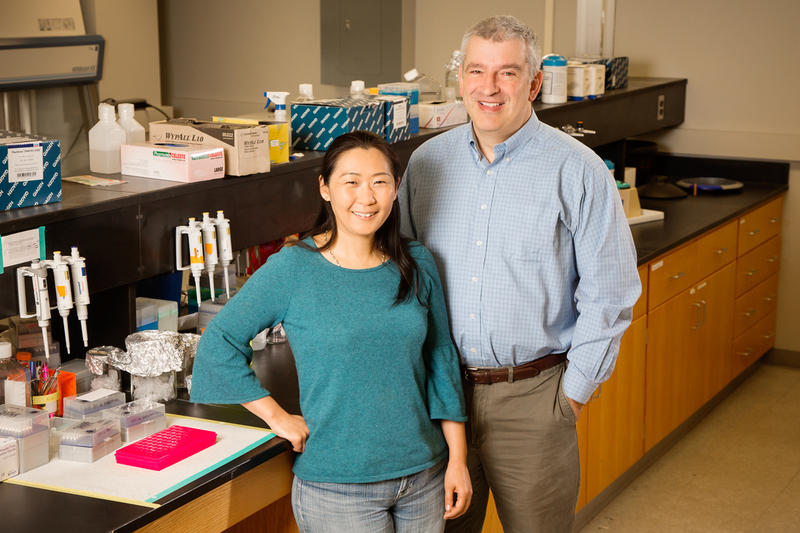 Animal sciences professor Alfred Roca, research scientist Yasuko Ishida and their colleagues analyzed nuclear and mitochondrial DNA to work out the relationships between several living and extinct elephant species. For the new analysis, scientists looked at two lines of evidence from African and Asian elephants, woolly mammoths and P. antiquus. 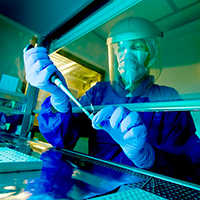 They analyzed mitochondrial DNA, which is passed only from mothers to their offspring, and nuclear DNA, which is a blend of paternal and maternal genes. The researchers relied on the most sensitive laboratory techniques to extract and amplify the DNA in P. antiquus bones from two sites in Germany – among the first DNA successfully collected from such ancient bones from a temperate climate. Matthias Meyer, of the Max Planck Institute for Evolutionary Anthropology, was first author of a new study of elephant genomics. 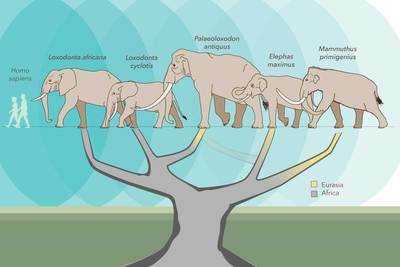 The mitochondrial analysis revealed that a shared ancestor of P. antiquus and the African forest elephant lived sometime between 1.5 million and 3.5 million years ago. Their closest shared ancestor with the African savanna elephant lived between 3.9 and 7 million years ago. 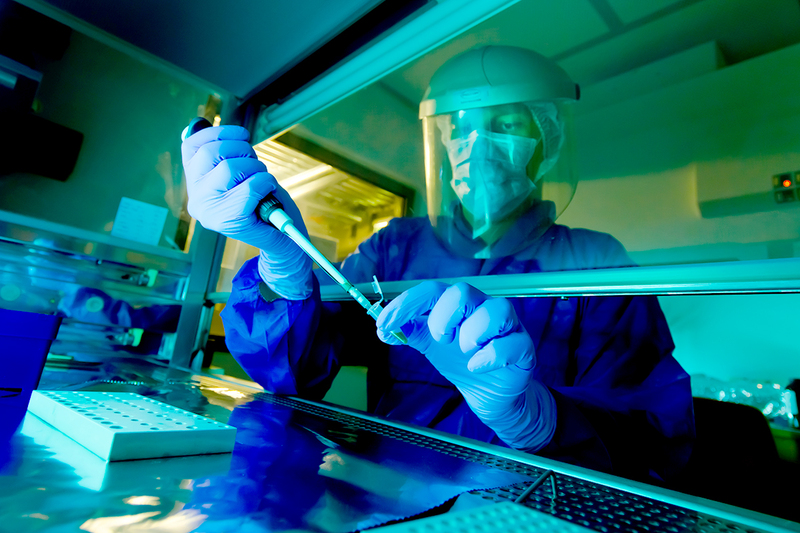 The nuclear DNA told the same story, the researchers report. “From the study of bone morphology, people thought Palaeoloxodon was closer to the Asian elephant. But from the molecular data, we found they are much closer to the African forest elephant,” said research scientist Yasuko Ishida, who led the mitochondrial sequencing of modern elephants with Roca. “Palaeoloxodon antiquus is a sister to the African forest elephant; it is not a sister to the Asian elephant or the African savanna elephant,” Roca said. Understanding the genetic heritage of elephants is vital to protecting the living remnant populations in Africa and beyond, Roca said. 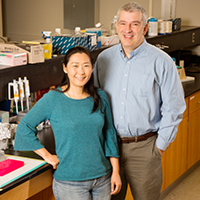 Leaders on the research team also included Eleftheria Palkopoulou and David Reich, of Harvard Medical School; and Beth Shapiro, of the University of California, Santa Cruz. Numerous agencies and foundations supported this research, including the U.S. Fish and Wildlife Service. To reach Alfred Roca, call 217-244-8853; email roca@illinois.edu. To reach Matthias Meyer, email: mmeyer@eva.mpg.de. To reach Michael Hofreiter, call 0049 331 9776321; email michael.hofreiter@uni-potsdam.de. The paper “Palaeogenomes of Eurasian straight-tusked elephants challenge the current view of elephant evolution” is available online and from the U. of I. News Bureau.